Why Choose Solid Wood Conference Tables? In today’s office furniture market, there are dozens of materials to choose from, including laminate, metal, and solid wood for your conference tables. How do you choose the right work surface for your workspace? While veneer and laminate options can be affordable and look great, solid wood will last much longer and is much more beautiful. 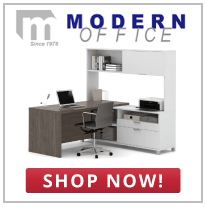 Modern Office Furniture offers a variety of affordable solid wood conference tables that appear great in any business environment. If you’re looking for a new conference table, learn why solid wood is the best choice for your furniture and employees. There’s no question that solid wood will last longer than its alternatives. If you want to keep office furniture for decades or longer, solid wood is your best bet. Whether in office or residential furniture, solid wood represents longevity, durability, and timelessness. You can refinish wood to create new character and change the style of the conference table as your style adapts. Not only is solid wood durable, but it’s also easy to clean and maintain. Keep it away from water and make sure to wipe it down occasionally with wood cleaner and you can keep your oak conference table looking great for many years. Keep away moisture and dust, and solid wood will last longer than materials like laminate or particle board. You’ll see white and red oak used in office furniture. It’s an especially strong hardwood and is known for its durability. It adds warmth and character to spaces ranging from modern to traditional. Oak’s grain is usually straight but is coarser than other woods, which makes it look more natural than other hardwoods. Solid oak is a durable, organic solution for your conference table needs. Will all its benefits, solid wood furniture, including conference tables, are a larger initial investment. 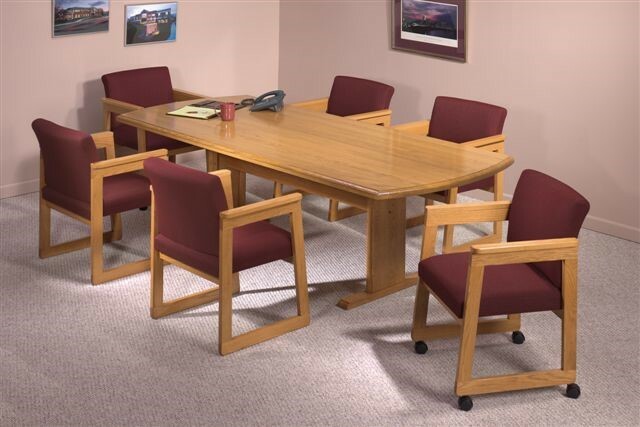 However, Modern Office Furniture offers solid oak conference tables at an affordable price point that makes them accessible to any business. Your solid wood furniture will last much longer than laminate, particle board, and even some metal pieces. You’re paying slightly more for better materials, quality, and value. Choose a solid wood conference table to transform your conference room. You can’t copy the feeling of solid wood with veneers or laminate. The elegance of wood can’t be duplicated.